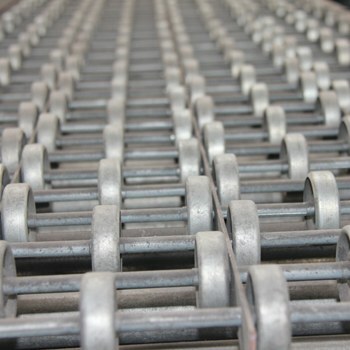 Gravity conveyors move product either by gravity or manually pushing the product. 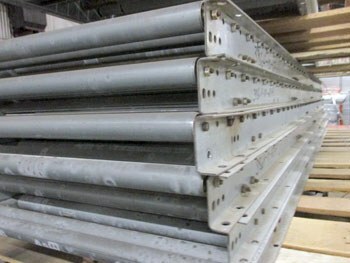 Gravity conveyor systems cost less to install and operate and are often used for temporary conveyor lines. 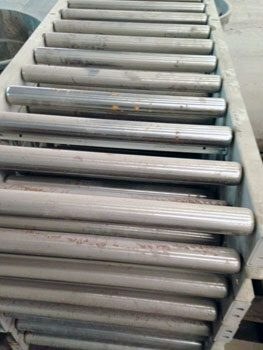 Examples of gravity conveyors are gravity skatewheel conveyor and gravity roller conveyor. 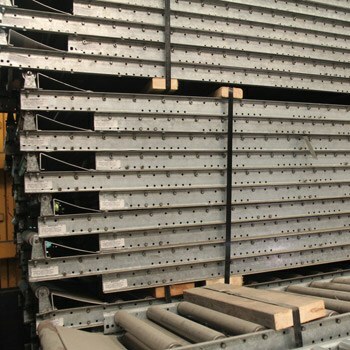 Used For: order fulfillment, product assembly, sorting, packing stations, transfer of product from one point to another. 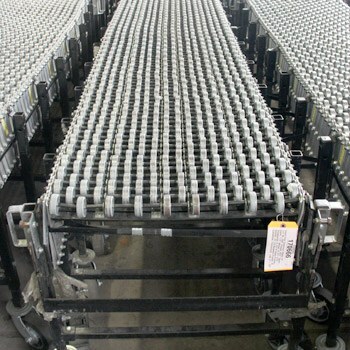 Gravity Skatewheel Conveyor: Several wheels attached to axles allow smooth bottomed containers to glide down the conveyor. Q. 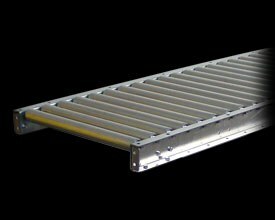 Is gravity conveyor right for me? A. 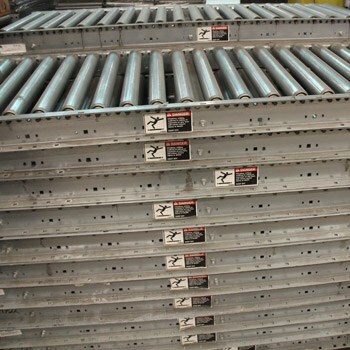 Gravity style conveyor is great when moving product short distances; 10’ to 40’ runs are ideal. 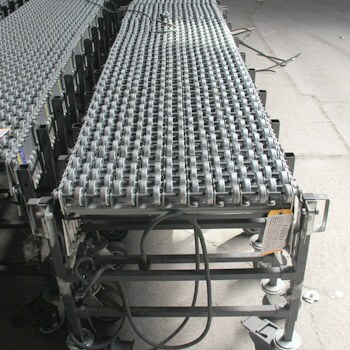 Gravity conveyor is also much lower in cost than power conveyor, which is another reason that it is so popular. Q. 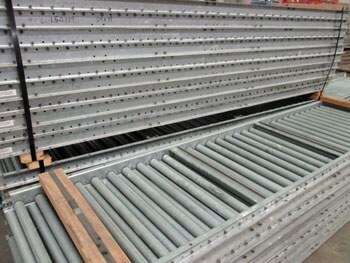 What sizes of gravity conveyor are available? A. 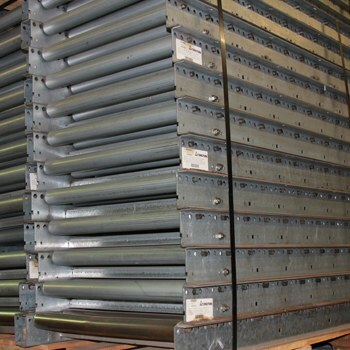 Gravity conveyor widths range from 12” to 48” and the beds are generally sold in 5’ to 12’ sizes. 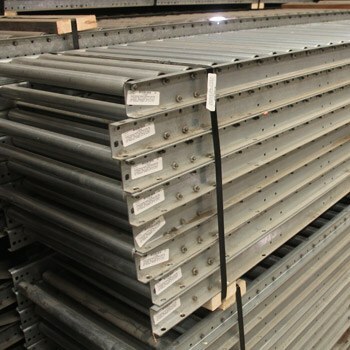 The most popular widths are 18” and 24” to move boxes or totes, but some clients select up to 48” wide to move pallets of material. Q. 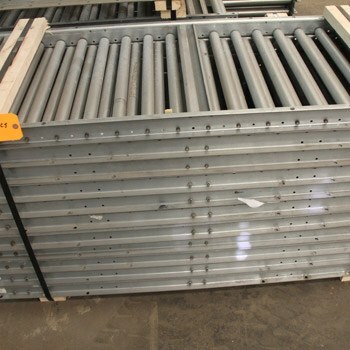 How do I select the roller center that is best for me? A. 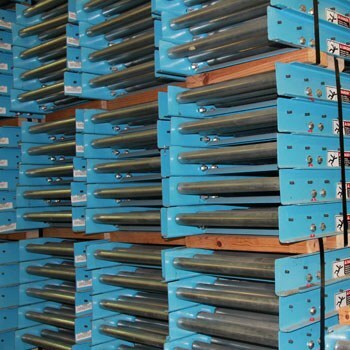 The most popular roller centers are spaced at 3”. 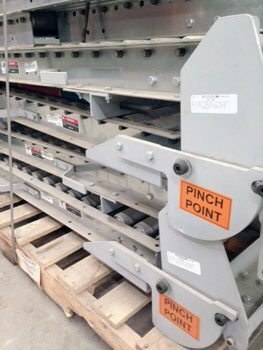 If you have long products, you may want to consider 4” to 5” centers to potentially reduce your cost. 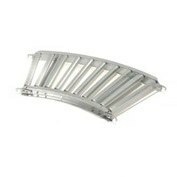 Gravity conveyor is also available with tighter spacing for moving small parts or boxes. 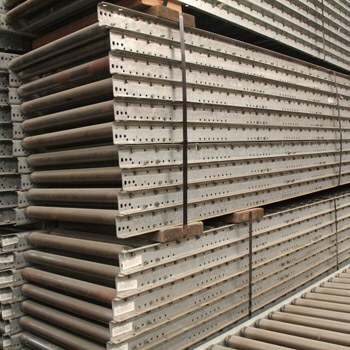 The general rule of thumb is that you want a minimum of 3 rollers to be making contact with the material.